In a world in which fake news exists, you cannot be a passive consumer of information and expect to encounter only the truth. Academics have to be critical of biases and falsehoods that exist in information, especially in news sources that cover controversial or political topics. A major part of academic work is learning to critically assess information. 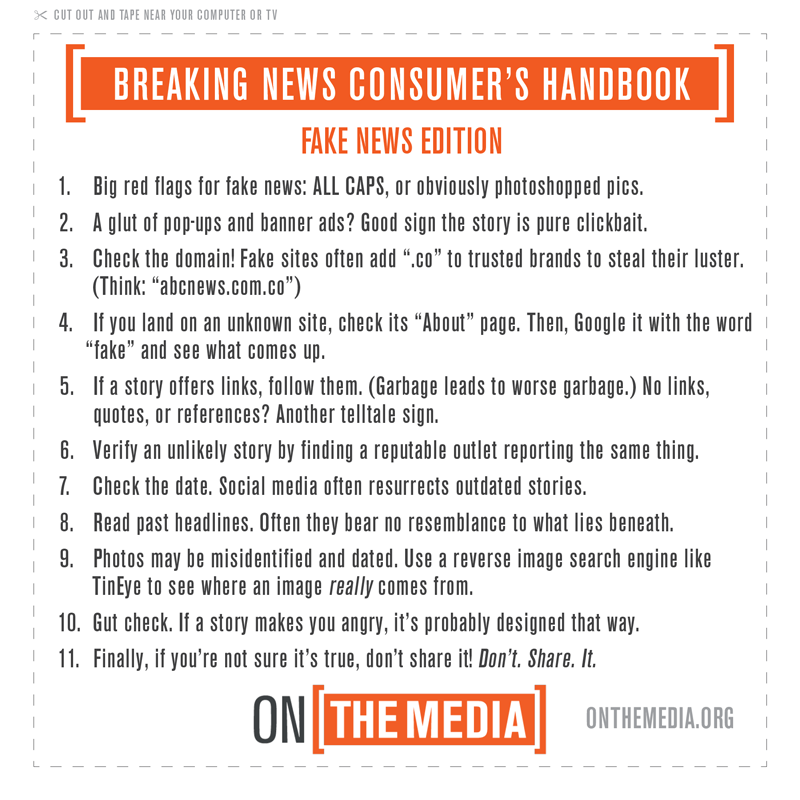 This portion of the guide will help you identify fake news by asking questions, knowing the technical characteristics of online news sources, and conducting contextual research. Does it play on your emotions? Even the best of us are often willing to overlook logic when confronted with an emotional issue. For instance, new stories vilifying political leaders we disagree with are so gratifying to read that we are often willing to overlook misinformation. Does it take a stance on a highly controversial issue? A headline that makes a bold statement about a sensitive subject, such as abortion, is more likely to get more traffic than one with a moderate position. Online news sources often generate revenue through the number of clicks they generate, and controversial articles are more likely to be clicked on. Is it political? There are major economic and power-driven incentives to publish fake political stories. These range from fake news promoted to advance a political viewpoint, to its use for purely economic gain. Is it sensational? Chances are if it’s totally unbelievable (“THE POPE ENDORSES POLYGAMY!”) you probably shouldn’t believe it. If you do, you might end up on literallyunbelievable.org. Is it topical? Donald Trump is likely to be the subject of a fake news story; John Milton is not. Does it use hyperbole? Biased news stories sometimes contain a grain of truth, such as a quotation or the results of a study, which is then exaggerated. Even if you are able to confirm the facts, be on the lookout for their exaggeration and distortion. Is it viral? If so, are people getting swept up in sharing the news without critically examining it? Is it breaking news? If you are getting the news before all of the information is available, it's fair to say that the information won't be complete. It is easier to spin a story through conjecture when events are still unfolding. Is it clickbait? Clickbait (“Here’s how I lost 25 pounds in two days! Doctors hate me!”) combines a number of the above criteria (it’s often sensational, topical, and hyperbolic) while being a phenomenon of its own. Clickbait requires an irresistible headline in order to lure in clicks and to disguise the unsubstantiated nature of its content. Different formats of media come with their own conventions. 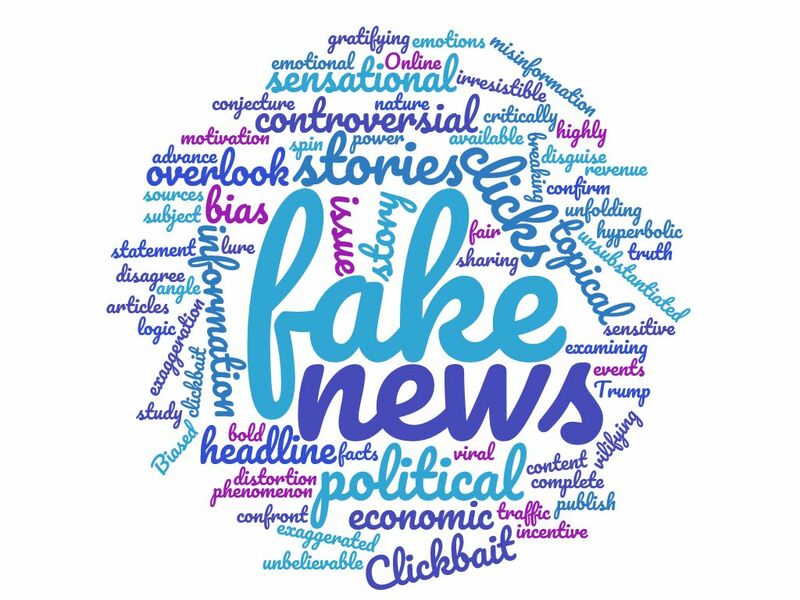 Most fake news that you will encounter disguises itself as legitimate online news, so knowing the conventions of legitimate online news sources will help you understand how fake news differs. Legitimate news sources usually have a professional domain name that matches the name of their organization. For instance, the website for CBC news is http://www.cbc.ca/news. Fake news URLs are less likely to be professional in nature or identifiable as a distinct news organization. Identify the top-level domain of a URL, as this will tell you the country where the site is hosted (eg. .ca, .au) or the purpose of the site (.edu, .com). Fake news sites sometimes use URLs that mimic legitimate sites but use a different top-level domain: for instance, http://www.cbc.ca.co/news. Site names ending in “lo,” such as Newslo, are also conventionally fake. Check for an About Us page, a Contact Us page, or other information pages. All legitimate news sites have pages like this, although the names may differ. Check the links. Broken links happen to the best of us, including legitimate news sources. However, most links on a news article should work, and these links should take the reader to other, legitimate sources. Have a look at the web design. Examples of poor web design include sites with too many colours or fonts, poor use of white space, and numerous animated gifs. Good web design is a sign of credibility, and legitimate news sources will prioritize having a proper website. A news organization like the CBC can afford to hire a web designer; they cannot afford to have a site that is unpleasant to visit. This is not to say that all sites with good web design are legitimate. Learn to recognize paid content. Many legitimate news sources include advertising on their site, often in the form of native advertising that blends in with regular articles. Paid advertising like does not meet the standards of true journalism. Some examples of native advertising are available on this Milton Academy Library Guide. https://www.whois.net/. For instance, a search for cbc.ca will show that it is owned by the Canadian Broadcasting Company. Install a browser extension to warn you when you are visiting a fake news site, such as the Fake News Alert for Chrome. Research the images. If an image used in a news articles looks suspicious to you, try using TinEye or Google reverse image search to find out if the image has previously been used elsewhere. If it has, check if it has since been edited. If the image is legitimate, searching for other images of the same scene might provide you with more context. Fake news creates an immediate, emotional reaction in readers. It doesn’t stand up to scrutiny or cold, hard logic. For this reason, research is the best way to disprove fake news and to gain a better, more contextualized understanding of an issue. Learn more about the publication. Does the news source that you are reading have a reputation for good journalism? Do they have any noted political biases? There are a large number of fact-checking websites that can help you determine a site’s reputation. Read up on the author. Read other pieces that they have written and find out basic biographical information. This will reveal biases and what their objective is in writing: a journalist will have a different purpose than a lobbyist, and a conservative different biases than a liberal. If the article has no attributed author, this is a red flag that the article may be the product of a content mill or might not be subject to editorial review. Triangulate the information. Read about a subject and verify the facts from a number of sources. Some tips on triangulating information are available from the School Library Journal. Check the article’s sources. Sources substantiate an argument. Check any references included in the article and see if they supply evidence that supports the claims. If the author draws on a study, for instance, find the original research and critically assess this information for accuracy. If the only source for information on this topic comes from the article your are assessing, what you are reading is opinion. Check the article’s links. The links that extend from one webpage to another will tell you a lot about the political affiliation of that site and what the author considers authoritative. For instance, a right-leaning political site will likely link to other, right-leaning political content. Don’t trust the article just because it came from a trusted source. If you get your news from social media, who shared the article? Just because you trust this person, do not think that they are infallible. Even experts forget to fact check and post misinformation when overcome by emotion and political rage, too. Plus, social media algorithms mean that you’re more likely to see content that you already agree with. Since fake news is not a new phenomenon, these are excellent guides far older than this one that can improve your critical thinking skills. The PARCA test is a useful acronym to use when doing research, and the ARCL Framework for Information Literacy is an in depth guide on the importance of critical reading.